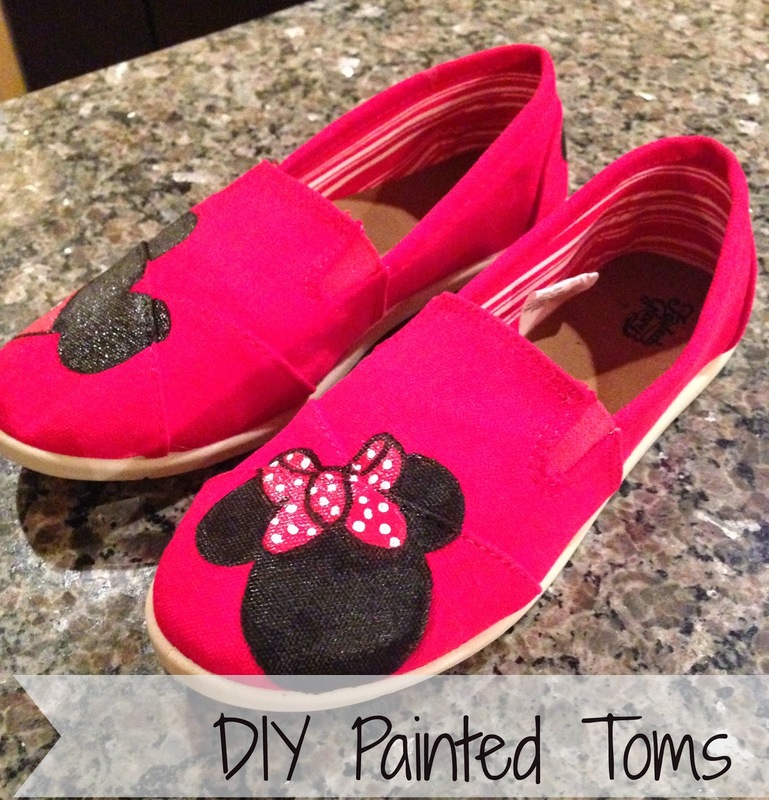 I've seen custom painted Disney Toms floating around on Etsy for a few years now and it wasn't until I saw Dixie Delights post on how to do them yourself, that I decided to take a stab at them. 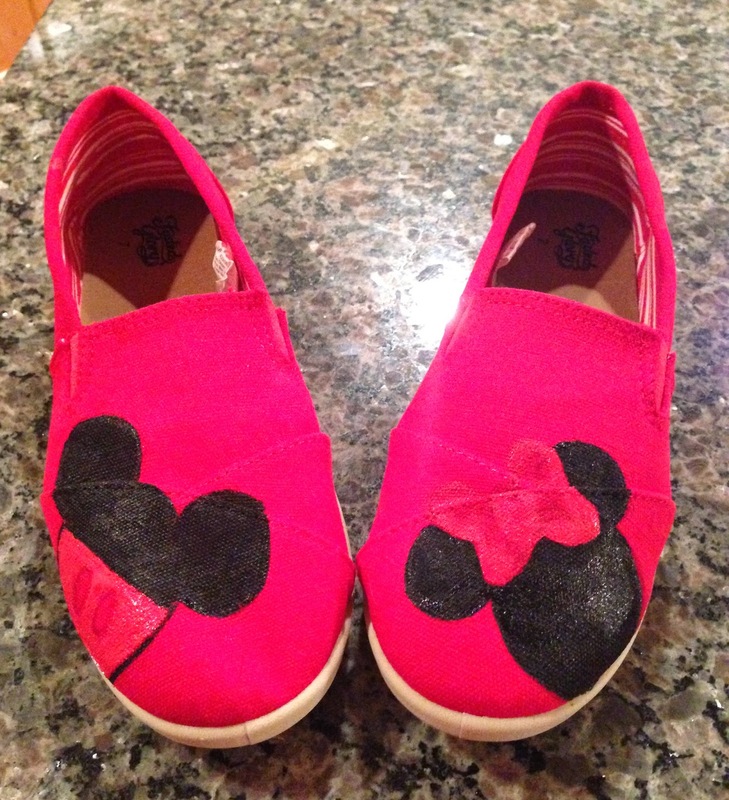 After all, I draw Mickey and Minnie heads during meetings everyday, why can't I custom paint my own Toms? 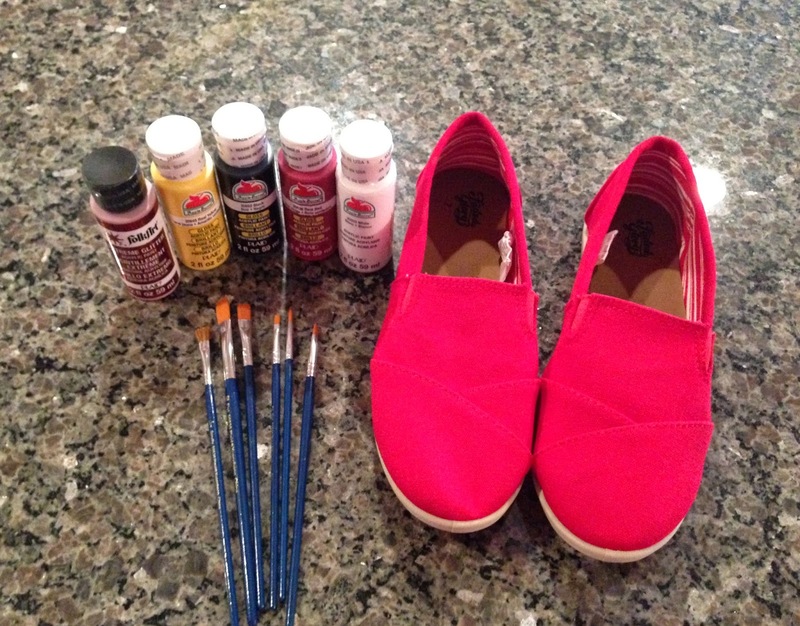 To be clear, I didn't have the guts to paint a fresh new pair of Toms; what if they turned out horrible?! 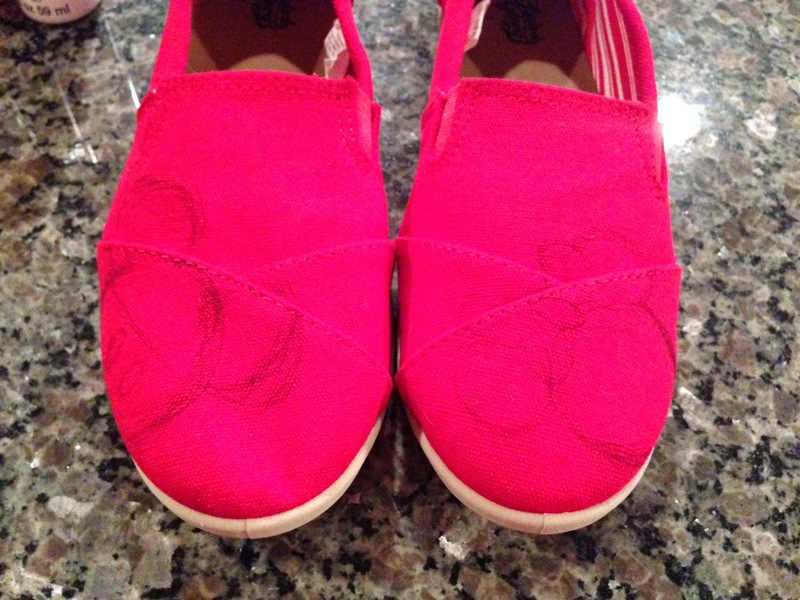 I couldn't stand the thought of ruining a $50 pair of shoes. So off to Walmart I went to buy some bo bo shoes. 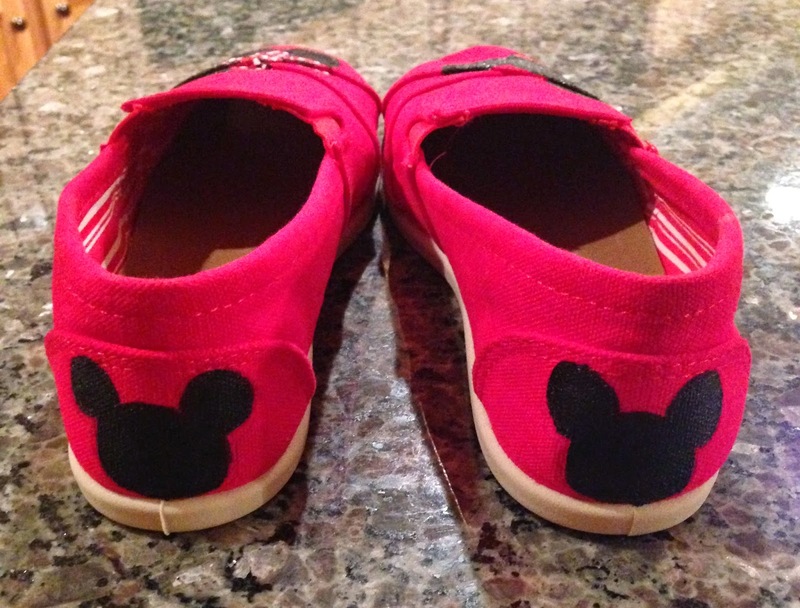 They only cost $9 and Target wanted $20 for their fake Toms, um no thanks! Once I had decided on how I wanted them to look, I went ahead and sketched out the images I wanted. If you don't trust yourself to draw, then print and cut out the silhouettes so you can trace them. Using a fine tipped paint brush, I outlined the edges in the black paint and then used a larger brush to fill in the ears. I did the same thing for the red. Once dry, I went over everything again to make sure I had it all nice and even. All that's left is to cover your seal your image with Mod Podge. 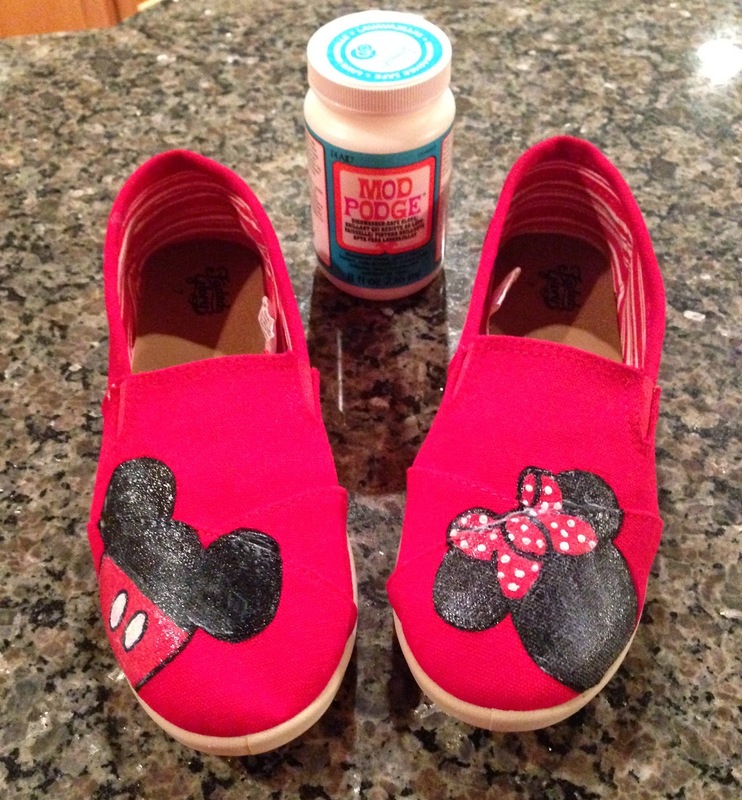 I used the dishwasher Mod Podge that I had from another craft and decided it would probably be best because it is water soluble and if you've been to Disney, you know it rains almost everyday in Florida. This way they will be protected. 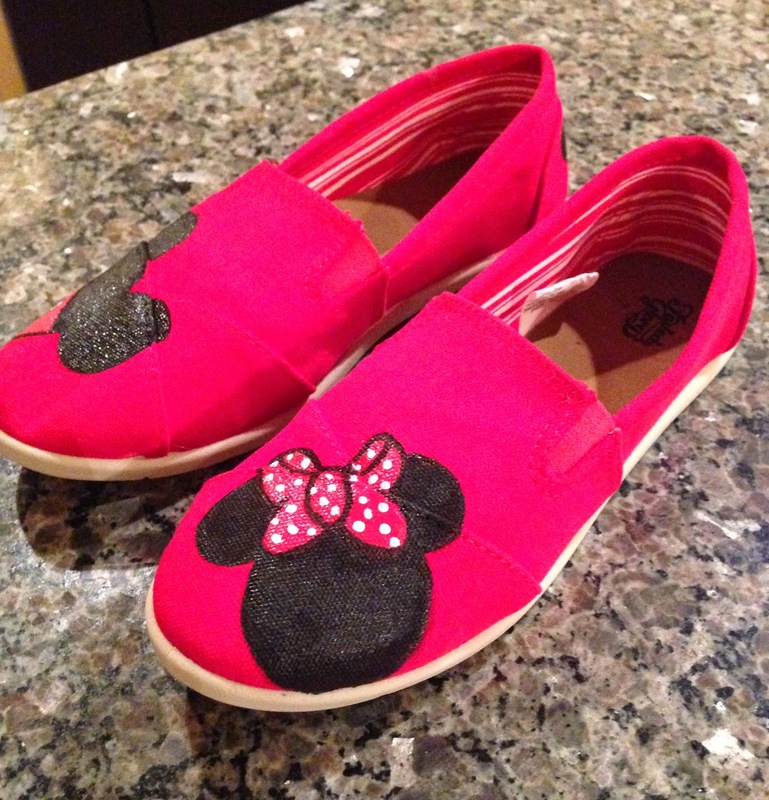 I did not have high expectations for the finished product (hence me buying fake Toms) but am really happy with how they turned out! An hour later, it was the best $17 I've spent in a long time.